There is one regulated market in Denmark where a public limited liability company can have its shares admitted to trading: Nasdaq Copenhagen. In past years, the governance regime in Denmark has been subject to further regulation and changes, both in terms of soft and hard law. The entry into force of the Danish Companies Act (DCA) in 2010 with subsequent amendments has played a major role as the regulation of governance has become more intensive and specific. More recently, the entry into force of the Market Abuse Regulation (MAR)2 on 3 July 2016 has introduced new rules on, inter alia, insider lists, delay of disclosure of inside information and notifications from persons discharging managerial responsibilities. The replacement of the Danish Securities Trading Act with the Danish Capital Markets Act3 on 3 January 2018 entails, inter alia, that more financial instruments and operators have become subject to the rules and that the rules on preparation of small prospectuses are removed. 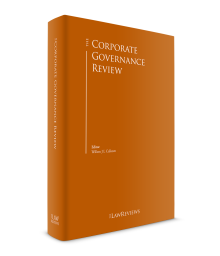 As regards soft law, in November 2017 the Danish Committee on Corporate Governance adopted a set of new corporate governance recommendations. In Denmark, the DCA is the primary act with regard to corporate governance. However, governance regulation is also covered in the Danish Financial Statements Act (DFSA) and the Danish Capital Markets Act (DCMA) and the MAR, and is furthermore supplemented by a number of executive orders. These regulations can be described as the sources of hard law on corporate governance in Denmark. Nasdaq Copenhagen has a separate set of rules called ‘Rules for issuers of shares’, which must be observed by listed companies. These rules have been issued on the basis of Section 75 of the DCMA, which requires the operator of a regulated market to establish clear and transparent rules. With the entry into force of the DCA in 2010, the revised sections regulating governance provided management with more flexibility but also obligations to make ongoing assessments to determine whether decision-making is established on a proper basis or whether external assistance is needed. As mentioned above, the Danish Committee on Corporate Governance adopted a set of new corporate governance recommendations in November 2017 that shall be applicable to financial years commencing on 1 January 2018 or later. The new recommendations replace the recommendations of 2013 (with amendments in 2014), and the focus of the Committee has been to bring the recommendations up-to-date especially in relation to companies’ value creation, management evaluation, board committees and remuneration policy. The recommendations provide guidance for best practice on corporate governance in listed companies; they are solely recommendations and do not constitute rules of law. The purpose of the recommendations is to ensure through transparency that investors and other relevant parties are given the opportunity to assess the circumstances of a specific company. Although they are only recommendations, they are anchored in the DFSA, which requires listed companies to submit a statement on how the company applies the principles of corporate governance (the comply-or-explain principle). Enforcement of the corporate governance regulations depends on whether the specific regulation is legislation or rules set out by the regulated market. As regards legislation, the rules regulating corporate governance in the DCA are mainly rules on liability. If the management does not act in accordance with the specific sections regulating its responsibilities, the members may become liable to the company, and to the shareholders or the creditors, or both, if losses occur. Disputes on such matters are settled by the Danish courts. The Danish Business Authority can impose fines on the management for failing to meet, in a timely manner, its obligations towards the Danish Business Authority under the DCA or the DFSA, or both (e.g., mandatory registrations, or preparation and publication of annual reports). As regards the rules set out by the regulated market, if a company fails to comply with these rules, the operator may give a reprimand or impose a fine. Under Danish company law, a limited liability company may choose between two different types of governance structures. A Danish limited liability company may choose the traditional Danish governance structure where the company is managed by a board of directors responsible for the overall and strategic management. The board of directors must appoint an executive board consisting of one or more persons to be responsible for the day-to-day management. In public limited companies, the majority of the members of the board of directors and the board’s chairman and vice chairman may not be members of the executive board. Alternatively, limited liability companies may choose a governance structure where the company is managed solely by an executive board. This executive board must be appointed by a supervisory board that oversees it, and thus the supervisory board has no responsibility for the overall and strategic management. A member of the executive board must not also be a member of the supervisory board. The board of directors or the supervisory board of a public limited company must have at least three members. In addition to these two governance structures, a private limited liability company has the further option of being managed solely by an executive board. Where a limited liability company has employed an average of at least 35 employees during the previous three years, the employees of the company are entitled to elect among themselves a number of employee representative board members, to be appointed on the same conditions as those applying to members elected by the shareholders. Private limited companies in which the employees exercise their right to elect members must have a board of directors or a supervisory board. In 2012, the Danish parliament adopted a bill with the aim of creating a more equal ratio of men to women on the boards of directors of Danish companies. The bill introduced new provisions in the DCA5 and the DFSA,6 pursuant to which certain types of companies are required to set target ratios and to implement a policy for gender equality to increase the share of the under-represented gender in the company’s management levels in general. The companies must also report on the status of progress towards satisfying these requirements in their annual reports. However, the new rules do not impose any mandatory quotas to be met in terms of ratios of men to women on the boards of directors. The rules are, inter alia, applicable to state-owned public companies, listed companies,7 large commercial enterprises,8 large commercial foundations and a number of financial sector entities. Where an entity already has an equal gender ratio in its management – pursuant to the explanatory notes to the bill, this means at least 40 to 60 per cent of each gender – the entity is not required to set target ratios or implement a policy. Information in this respect must, however, be included in the annual report of the entity. Furthermore, there is a de minimis threshold regarding the requirement to implement a policy of gender equality. Thus, companies with fewer than 50 employees are not subject to the requirement of implementing this policy. Failure by a company to observe the obligation to set target ratios, prepare a policy for gender equality or reporting in the annual report may result in a fine, but the fact that a company does not achieve the target figures will not in itself give rise to a fine. The Danish Business Authority has prepared guidelines enabling the companies to fulfil the requirements. The new rules entered into force on 1 April 2013. The management of a Danish limited liability company owes a duty of loyalty to the company and its shareholders and must at all times act in their best interests. The culpa assessment is made by comparing the act or omission in question to a normal standard of care (i.e., what can reasonably be expected from a diligent person (bonus pater familias) in similar circumstances). In this respect it may be of significant importance if a specific rule or duty to act has been contravened, for example, rules or duties contained in the DCA, the company’s articles of association or any other regulations or guidelines applicable to management members. Under Danish company law there is a ‘business judgement rule’, which prescribes that, as a main rule, the management will not be held liable when exercising a rational business judgement, even if an error in that judgement leads to financial losses. The decision must have been taken on a well-informed and qualified basis. In Danish case law, the board of directors has generally not been found liable in financial distress cases where a business judgement has resulted in financial losses, provided that the chances of overcoming the financial difficulties were not unrealistic at the time the business judgement was made. In general, Danish courts have been reluctant to render management members liable for the exercise or lack of exercise of their powers and duties unless clear, specific duties have been breached. This may, however, be changing since the trend is probably towards stricter liability for management members. In recent years, Danish company law has provided company management with a greater degree of freedom of choice; for example, certain legal requirements and documents may be waived in connection with mergers if the management considers such a decision to be prudent and justifiable. This tendency leads to an intensified focus on the potential liability of the management, especially when these requirements have been waived and losses occur. All Danish companies are required to fulfil certain obligations as regards disclosure of information. The management must provide the auditor with any information that is likely to influence the assessment of the company. Additionally, the management must provide the auditor with information, assistance and access to make whatever investigations are deemed necessary to complete the audit work; where the company is a subsidiary of a group of companies, the management owes a similar duty to the auditor of the parent company.11 Moreover, the auditor may request that members of the company’s management provide any information that is deemed to be of importance to the assessment of the company and, if the company is a parent company, its group. In general, the executive board must ensure an appropriate review process for the company’s auditor and ultimately present the annual report with specifications and audit reports to the board of directors in good time for the annual report to be adopted at the company’s annual general meeting. The management must present the annual report for the shareholders’ approval in a timely manner. It is the responsibility of each individual member of the management to ensure that the annual report is prepared, audited and approved by the management and the shareholders, and that it is submitted to the Danish Business Authority within five months12 of the end of the financial year and in accordance with all requirements. As of 1 January 2014, it has been possible for companies to prepare and submit annual reports in English only provided that the company’s general meeting passes a resolution in this respect and the resolution is incorporated into the company’s articles of association. In December 2014, the Public Register of Shareholders was introduced to create more openness and transparency about the ownership of Danish companies for the purpose of discouraging money laundering, creating more confidence in companies and improving the public authorities’ investigative tools in connection with white-collar crime. 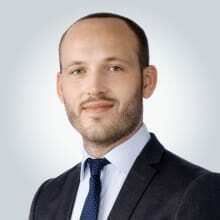 The entry into force of the Register has made it mandatory for Danish limited liability companies to have significant shareholdings and voting rights registered and made public in the IT system of the Danish Business Authority. As of June 2017, it has been mandatory for Danish unlisted limited liability companies to register and make public the company’s ‘ultimate beneficial owners’ via the IT system of the Danish Business Authority. An ‘ultimate beneficial owner’ is defined as the natural person who ultimately directly or indirectly holds or exercises control over a sufficient amount of the shares or voting rights (as a rule of thumb, a ‘sufficient amount’ is more than 25 per cent of the shares or voting rights) or who exercises control by other means (e.g., via a shareholders’ agreement). The rules on ultimate beneficial owners have been introduced to create more transparency for the purpose of preventing owners from hiding behind various company structures. Companies whose shares are admitted to trading on a regulated market in Denmark must, as soon as possible, disclose inside information if this information pertains directly to the company’s activities. Significant changes concerning already disclosed inside information must be disclosed immediately after the changes occur, and through the same channels as used for any previous disclosures. Inside information disclosed to a third party in the normal exercise of his or her profession must simultaneously be disclosed in a complete and effective manner, unless the third party is subject to a duty of confidentiality. The company is obliged to have established disclosure procedures ensuring that relevant information is disclosed in compliance with the applicable law. In connection with the disclosure of information, the company must ensure that inside information is disclosed in a manner that enables fast access and complete, correct and timely assessment of the information by the public.14 The company must, as far as possible, ensure that the information is disclosed simultaneously to all categories of investors in all Member States of the European Union or countries with which the EU has entered into an agreement for the financial area or where the company has requested or received approval of securities. The company may delay the disclosure of inside information to protect legitimate interests (e.g., ongoing sensitive negotiations) provided that the delay will not mislead the public and provided that the information can be handled confidentially; however, the decision to delay the disclosure is at the company’s own risk. If the company learns or ought to have learned that the inside information no longer remains confidential (i.e., if the information has been leaked), the company must disclose this inside information as soon as possible. Simultaneously with the disclosure of the aforementioned information, the company must submit the information to the Danish Financial Supervisory Authority (FSA). Where an issuer has delayed the disclosure of inside information, it shall inform the FSA that disclosure of the information was delayed and shall, upon request, provide a written explanation of how the conditions for delay were met. A listed company must, no later than three weeks prior to the annual general meeting, but no later than four months after the end of the financial year, publish the annual report approved by the board of directors. Without undue delay, after the annual report has been approved by the annual general meeting, the company must then submit the report to the Danish Business Authority. The company must also publish approved interim financial statements for the first six months of the financial year as soon as possible and within two months of expiry of the six-month period. Additionally, The Danish Committee on Corporate Governance recommends that listed companies publish quarterly reports. The Danish recommendations on corporate governance15 comply with Danish and EU company law and recognised best practice, and they are aimed primarily at Danish companies whose shares are admitted to trading on a regulated market.16 The objective behind the recommendations is above all to promote productive and responsible management of listed companies for their long-term benefit. These recommendations are intended to increase public confidence in the companies via timely disclosure and transparency. The soft law recommendations enable listed companies to organise their governance optimally in accordance with the comply-or-explain principle.17 This principle allows each company to decide whether and to what extent it wishes to comply with the recommendations. If a company fails to comply with a recommendation, it must explain why and specify its chosen approach, and this voluntary element aims to ensure adequate flexibility for each company. Pursuant to Section 107b of the Financial Statements Act, information on how the companies apply the principles of corporate governance must be included either in the management commentary in the annual report or published via the company’s website18 together with an exact reference thereto in the management commentary. the financial resources of the limited liability company are adequate at all times, and that the company has sufficient liquidity to meet its current and future liabilities as they fall due. At the general meeting, the board of directors must report on the financial position of the company and, if necessary, submit a proposal for measures that should be taken (e.g., a proposal for injection of additional funds or a proposal for dissolution of the company). If the general meeting does not vote in favour of the proposal, and the board of directors is of the opinion that it would not be justifiable to keep the company in operation, the board of directors should resign. The failure to realise an evident loss and, consequently, the failure to respond in a situation where a reaction is required may often trigger liability. However, non-compliance does not automatically entail liability for the board of directors. The objective behind the provision is to motivate the management to take an active part in overseeing the company’s financial development, so that relevant measures can be implemented. The general meeting is the forum where the shareholders exercise their rights,20 and since access to and participation in the general meeting is a fundamental shareholder right, the DCA contains various rules regarding general meetings. At the annual general meeting the board of directors presents its report on the activities of the company in the preceding year, and the shareholders adopt the annual report, including the appropriation of profits or covering of losses in accordance with the adopted annual report. Additionally, the shareholders elect the board of directors and the auditor. Under Danish company law, there are a number of matters only the general meeting can resolve upon (e.g., amendments to the articles of association or election of a majority of the board of directors). Also, there are a number of matters where the general meeting’s decision-making authority may be delegated to the board of directors, for instance, the authority to decide on a capital increase if a provision to this effect is included in the articles of association. amendments to the articles of association, whereby the shareholder obligations towards the company are increased, require unanimity. Under Danish company law, shareholders do not have any specific duties as to the performance and operations of the company, and thus shareholders have the right to be passive investors. If, however, a shareholder decides to attend the company’s general meetings, the shareholder may not contribute to the passing of resolutions where those resolutions clearly are likely to give certain shareholders or others an undue advantage to the detriment of other shareholders or the company. 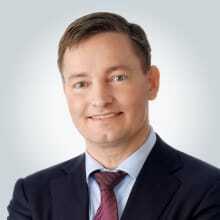 In recent years, the role of shareholders in Danish listed companies has attracted a lot of attention. Generally Danish listed companies have dispersed ownership, and thus the dialogue between the management of the company and the shareholders can be complicated, even though the DCA has made it possible to use electronic media as means for conducting general meetings. Danish company law is based on the premise that the company’s communication with the shareholders primarily takes place at the general meeting. In November 2016, the Committee published a Stewardship Code for institutional investors (aimed at Danish institutional investors that have equity investments in Danish listed companies) to encourage the kind of stewardship in Danish listed companies that is beneficial to their value creation. The Code recommends that institutional investors publish an active ownership policy containing, among other things, a voting policy, and that they publish whether or how they cast votes at general meetings in the listed companies. As is the case for the corporate governance recommendations, the seven stewardship principles are soft law to be applied on a comply-or-explain basis. The Stewardship Code entered into force on 1 January 2017, and consequently, institutional investors with the calendar year as the financial year must report in accordance with the Code for the first time in spring 2018. Hostile tender offers are permitted under Danish law, but they are not very common. As a general rule, the board of directors is allowed to use defensive measures if it believes that the transaction is not in the best interest of the company. In public tender offers under Danish law, the acceptance period is four to ten weeks, except when regulatory approvals are necessary. Within the first half of this offer period, the target’s board of directors must issue a statement to the shareholders in the company. The statement must include the board of directors’ opinion of the offer, including its opinion of the consequences of the offer for all the company’s interests, particularly for the employees, and the offeror’s strategic plans for the company. Usually, the statement will include a recommendation to accept or reject the offer. According to the Danish corporate governance recommendations, the board of directors – from the moment it obtains knowledge that a takeover bid will be submitted – should not, without the acceptance of the general meeting, attempt to counter the takeover bid by making decisions that in reality prevent the shareholders from deciding on the takeover bid themselves; for example, acquiring treasury shares, selling prime assets or obtaining loans to scare off the potential hostile buyers. Traditionally the most common defensive measures in Danish companies have been structural and often implemented in connection with the formation of the company or in relation to transfer of ownership to foundations or other successions. Some companies have divided their shares into two share classes with different voting rights (high-vote A shares and low-vote B shares, typically in the ratio 1:10) to protect the company from a takeover. Some companies have adopted rules capping the shareholder’s maximum holding of voting rights, a practice that is often seen in financial institutions. If a shareholder holds more than the maximum number of shares, the excess voting rights will be treated as non-voting shares at the general meetings. Some companies also have had provisions in their articles of association that prohibit employees from competing companies being elected to the board of directors. In addition, many companies have authorised the board of directors to acquire the company’s own shares, typically up to 10 per cent of the issued shares and voting rights, which theoretically allow for greenmail-based defences. Further, the ability to use shareholder rights plans (‘poison pills’, designed to allow existing shareholders to purchase shares at substantial discount) or the introduction of contractual change of control-based initiatives to deter potential acquirers in connection with a takeover, is very limited in Denmark and there is no tradition of applying these defensive measures. Moreover, the board of directors may not increase the company’s share capital or carry out other transactions solely as defensive measures. Further, equal treatment protection is generally afforded minority shareholders. The board of directors will not be in conflict with the Danish corporate governance recommendations by seeking competing takeover bids. When directors realise that their company might be subject to a takeover, they may seek out as many interested buyers as possible. The process often leads to a non-public auction including several potential buyers. The board of directors may take into account a variety of factors, when assessing public bids, with price typically being the most important factor. The breakthrough rule and the anti-frustration rule introduced in the Takeover Directive are not mandatory for Danish companies, but in accordance with the Directive companies have the option to adopt the rules in their articles of association (also known as opt-in). The directors are allowed to express their opinion on whether or not they believe that the shareholders should accept the offer, but in the end it is up to the shareholders whether they wish to tender their shares to an offeror. However, if the board of directors tries to hinder a serious tender offer, publicly or non-publicly, without the approval of the shareholders, they may incur a civil liability towards the shareholders, if the board of directors does not act in the best overall interest of the company and the shareholders. As a general rule, confidential information must not be disclosed to the shareholders of a limited liability company because members of the board of directors are bound by secrecy. Further, if the company has its shares admitted to trading on a regulated market, privileged information often constitutes inside information and is therefore covered by the pertinent regulations in the MAR30 governing the safeguarding and disclosure of inside information. Thus, whether or not the company is listed, the main rule is that confidential confirmation must not be disclosed by the board of directors to the company’s shareholders; however, certain circumstances may allow for exceptions to the company and securities law regulations. Some Danish corporate law commentators assume that a member of the board of directors may disclose information to the shareholder who has appointed him or her if the disclosure concerns limited and specific information and if the disclosure is in the interests of the company. This understanding is especially substantiated where the member of the board of directors is a representative for the shareholder. According to other Danish corporate law commentators such a disclosure should be approved by the board of directors. The company’s articles of association or the rules of procedure for the board of directors may stipulate such a right to disclose information. In the event of such a disclosure, the shareholder is obliged to keep the received information confidential and not pass the information to any third party. the shareholder undertakes to keep the information confidential and not to pass the information to any third party, and will not trade or instigate trading in the company’s shares until the information has been made public. As previously mentioned, any disclosure of information must be in the short or long-term financial interests of the company. Thus, the company cannot disclose information to the shareholder merely on the grounds of ‘political’ interests, regardless of whether these interests are shared by the management of the company. It also follows from the foregoing that the board of directors may not continually (particularly not automatically) disclose information to a shareholder. Information may be disclosed on an ad hoc basis only, if and when the board of directors finds it to be in the interests of the company. Any disclosure of information to a shareholder is subject to a principle of proportionality whereby the disclosure of information is kept to a minimum and where the company’s benefits in disclosing this information outweigh the drawbacks of the disclosure. Therefore, a scheme of periodic disclosure of information to certain shareholders is generally considered problematic, as it would contradict the criterion of only disclosing specific and limited information; however, certain specific circumstances may arise whereby periodic disclosures may take place. Disclosure of information may, as an example, typically take place if the company requires the shareholder to make a decision in a non-published matter where the position of the shareholder is significant. An example of such a disclosure may be major strategic measures that would depend on the approval of certain major shareholders, and where the company would not want to publish information without having secured prior approval. In practice, it is advisable to document by written statement the decision of the board of directors to disclose any information as well as the shareholder’s obligation to keep the received information confidential. Disclosure of information by the company is subject to the basic legal principle of equality in company law whereby shareholders in comparable situations – for example, if the shareholders all hold approximately the same number of shares in the company – as the main rule shall be treated on equal terms. Thus, when disclosing information, shareholders in comparable situations must be treated equally and be granted the same access to company information. New EU rules on shareholders’ rights are on the way. The amendments to Directive on shareholders’ rights (Directive 2007/36 EC) were adopted at EU level on 9 June 2017, and the amendments must be incorporated in Danish law with the following two years. The object of the amendments to the Directive on shareholders’ rights is to encourage corporate governance in listed companies by making it easier for shareholders to exercise active ownership and to make share trading more transparent. The amendments entail, inter alia, that the shareholders in listed companies are given a right to a say on the remuneration policy with respect to the remuneration of the company management. Companies are to draw up and publish a policy on the remuneration of members of the board of directors and the executive board that lays down the detailed rules on fixed and variable remuneration of members of management. Shareholders will be given a right to vote on the remuneration policy at the general meeting. Afterwards, the remuneration must comply with the adopted remuneration policy. At this point in time, the rules on drawing up a remuneration policy are only included in the Danish recommendations on corporate governance. Accordingly, Danish listed companies have not yet been subject to a statutory obligation to draw up a remuneration policy (because of the comply-or-explain principle of the recommendations, where reasons are to be given for any non-compliance). The proposal also means that companies must present a remuneration report that is to contain information about the individual remuneration of members of management. The shareholders will be given a right to participate in a guiding vote on the remuneration report at the company’s general meeting. It means that the report is not binding on the company, but gives the management an insight into the shareholders’ position on the remuneration. 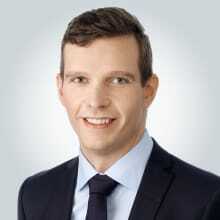 1 Jacob Christensen is a partner, Søren Toft Bjerreskov is a senior attorney and Nicholas William Boe Stenderup is an attorney at Plesner Advokatpartnerselskab. 2 Regulation (EU) No. 596/2014 of 16 April 2014. 4 The Danish Committee on Corporate Governance recommends that listed companies are organised in accordance with the traditional management structure. 7 Enterprises with other securities than shares (for instance bonds) admitted to trading on a regulated market in an EU or EEA country will also be subject to the new rules. This applies regardless of the size of the enterprise. 8 Enterprises in accounting class C that exceed two of the following three thresholds of the DFSA in two consecutive financial years: (1) a balance sheet total of 156 million kroner; (2) a net turnover of 313 million kroner; and (3) an average of 250 full-time employees. 9 Section 361 of the DCA. 10 Section 144 of the DCA. 11 Section 133 of the DCA. 12 Section 138(1) of the DFSA. 13 Article 17 of the MAR and Chapters 5 and 6 of the DCMA. 14 Article 17(1) of the MAR. 16 However, the recommendations may also provide guidance for non-publicly traded companies. 17 According to Section 107b of the Financial Statements Act and Nasdaq’s rules, listed companies must adopt the comply-or-explain principle when reporting. 18 The Committee on Corporate Governance states that publication on the company’s website together with a precise reference thereto in the management commentary in the annual report will create the most transparency. 19 Section 119 of the DCA. 20 Section 76 of the DCA. 21 Provided that the Danish company law does not prescribe that the specific resolution is to be adopted by the management. 22 Section 108 of the DCA. 23 Section 105 of the DCA. 24 Section 107 of the DCA. 25 Section 73 of the DCA. 26 Section 144 of the DCA. 27 Section 150 of the DCA. 28 Section 362 of the DCA. 29 Section 1.2.1 of the Danish recommendations on corporate governance. 30 Additionally, Danish antitrust law may limit the board of directors’ ability to disclose confidential information.